According to Statista, U.S. commercial airlines carried more than four billion passengers and generated $534 billion in global revenue in 2017. Demand for air travel is projected to grow, but commercial airlines will have to contend with these risks, many of which continue to emerge and evolve, in order to keep up and stay profitable. An unfortunate number of examples demonstrate the far-reaching effects of a major airline’s system outage. In late January of 2017, Delta experienced a network interruption that lead to at least 270 flight cancellations and many more delays. It also missed out on additional bookings since the issue affected its website and mobile apps. This was after Delta experienced an even more significant outage in August 2016, which was the result of an equipment fire. In that case, an estimated 2,300 flights were cancelled, costing the airline $150 million in lost revenue. A month before that, Southwest Airlines experienced a router failure that caused cascading malfunctions across its systems, resulting in 2,000 cancelled flights, which cost the company between $54 million and $82 million in lost revenue and increased costs. It’s estimated Southwest lost out on $5 million to $10 million in ticket sales because the glitch disabled online booking applications. United Airlines was also forced to ground all domestic flights for more than two hours due to a computer outage in January 2017. FAA officials said that the Aircraft Communications Addressing and Reporting System (ACARS) had issues with low bandwidth. These events highlight the risk of trying to build new programming on top of outdated infrastructure. Like in many industries, the underlying technology supporting many airlines’ operations is decades old and in dire need of an overhaul, but the costs associated with doing so have prevented much-needed updates. Increased demand coupled with a shrinking pool of qualified pilots is driving an ongoing pilot shortage. According to Boeing’s 2018 Pilot & Technician Outlook, the aviation sector will need 790,000 pilots over the next two decades and 754,000 new maintenance technicians, thanks to an anticipated influx of new aircraft. At the same time, more than 42 percent of airline pilots will retire over the next 10 years, according to market research firm Cowen & Company. Baby boomers currently comprise about half of the pilot workforce. Private sector aviation companies tend to recruit highly-qualified former Air Force pilots, but even the Air Force is short by about 2,000 pilots as of the end of 2018. Private and business aviation are suffering the most, as commercial airlines can typically offer more competitive salaries and more regular schedules. The ability to keep flights running on time is highly dependent on the weather. Historically, airlines could anticipate some cancellations based on seasonality. It’s reasonable to expect some flights to Florida to be cancelled in the height of hurricane season, or trips to the Northeast to be hindered by snowstorms in the middle winter. Airlines could plan for such events and prepare to absorb the cost. But the effects of climate change have made planning an almost futile exercise. Source: NASA GISS & NOAA NCEI global temperature anomalies averaged and adjusted to early industrial baseline. Global warming has given rise to more frequent and more severe storms, which means more and longer interruptions for travelers. Extreme heat is also an issue. When the air is too hot, pilots cannot achieve enough lift to take off safely. Over the summer of 2017, a string of 120-plus degree days in Phoenix led one airline to cancel more than 40 flights. According to Climate Central, the five warmest years on record have all occurred since 2010. Heat will continue to be a factor keeping planes on the ground. More volatile temperature changes and weather patterns are also giving rise to more turbulence. A study by researchers at the University of Reading in the UK, the volume of severe turbulence will double in airspace over North America, the North Pacific, and Europe between 2050 to 2080. Over the North Atlantic in particular, severe turbulent will become as common as moderate turbulence today. That could mean an increased need to reroute flights, and a higher frequency of passenger and crew injury. Given that the aviation sector accounts for 2 to 5 percent of global emissions, airlines are also under pressure to find ways to become more fuel-efficient and environmentally friendly. Price Per Barrel of Oil. Source: macrotrends. Fuel accounts for about 30 percent of costs in aviation. Profit margins can quickly erode when oil prices soar. In the past 10 years, the price per barrel fell from a high of $126 in 2011 to a low of just $36 in 2016. As of the end of January 2019, the price sits at $52 per barrel. While the cyclical nature of oil prices is not a new risk, rapid fluctuations have become more pronounced in the past several decades, and will continue to be a difficult exposure to manage. It all began with the case of David Dao, a Kentucky doctor aboard a United Airlines flight who was violently removed when the airline realized it had overbooked and needed to “bump” some passengers, but no one volunteered. Images of a bloodied Dr. Dao being dragged down the plane’s narrow aisle spread across social media like wildfire, and the unapologetic reaction from the company’s CEO Oscar Munoz didn’t help. United’s market value reportedly deteriorated by about $250 million because of the incident. Since then, there have been countless similar episodes where confrontations between passengers and crew or forcible removals are filmed and posted online for the world to see. In some cases, crew members are accused of acting brashly or rudely, but in others, they’re motivations in confronting passengers have been dubbed racist. These incidents underline the importance of having a clear communications response plan in place. Incidents can’t always be avoided, but the way a company responds can determine whether the story disappears in a day or causes longer term impact to the bottom line. In 2008 and 2009, five of the nine largest U.S. airlines reported losses totaling nearly $4 billion. When a shrinking economy forces individuals and businesses to tighten up their budgets, travel is typically at the top of the list of expenses to cut. In September 2008, the top seven airlines in the U.S. averaged a 9.47 drop in domestic passenger miles traveled compared with September 2007. Internationally, airfreight volumes fell by about 13 percent. The inability to predict when a recession will occur or how long it will last presents a constant uninsurable risk to the commercial aviation sector. The impact of a government shutdown likely was never a top concern for airline risk managers before, but the recent 35-day shutdown — the longest in history — made clear that a non-functioning federal government has big implications for airline safety, efficiency and profitability. Southwest Airlines reported it lost up to $15 million during the shutdown in the month of January 2019. Delta said it cost them 25 million in lost revenue. This is due to fewer government employees and contractors taking business trips, and fewer TSA agents and air traffic controllers available to handle the existing traffic. Facing weeks without pay, these workers called out sick in record numbers. Citing financial limitations, as many as 10 percent of TSA agents used sick days during the shutdown. Absence of air traffic controllers lead to delays and cancellations. Among La Guardia, Kennedy International and Newark Liberty International airports, there were 87 cancellations and more than 1100 delays. 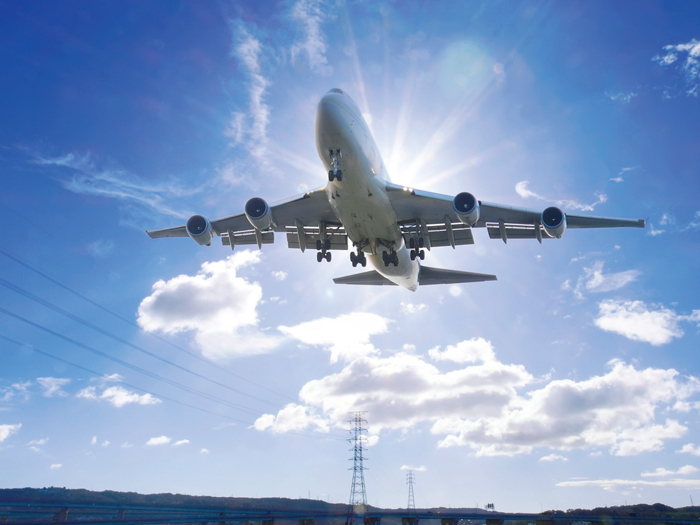 A 2018 aerospace market update issued by Willis Towers Watson predicted that a hardening market was likely to continue. After years of soft market conditions, waning profitability has lead some carriers to exit the market completely. According to WTW, “2017 was one of the costliest years on record for the broader property and casualty (P&C) market, which will have an effect on many insurers’ reinsurance programs as they renew their treaties in 2018.” Claims are also becoming more expensive due to increasing cost of repair of newer aircraft and rising jury verdict and settlement amounts.